The BEST Orange Smoothie Ever! 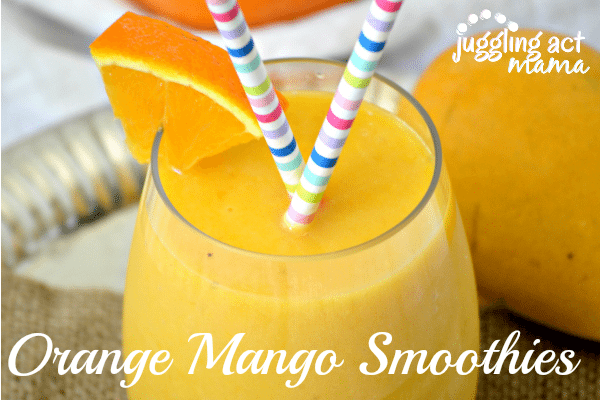 Delicious mangoes and sweet oranges make an incredible orange smoothie packed with lots of vitamin C and potassium! 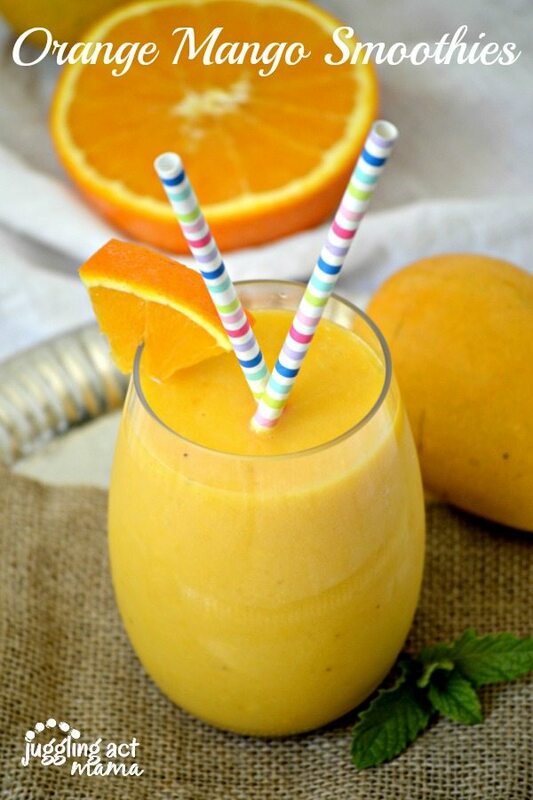 You’re going to want to have an Orange Mango Smoothie every day! Did you know that Mangoes have been named the most widely consumed fruit in the world? I would have thought it might be oranges or bananas. Who knew! 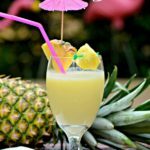 After you make this immune boosting smoothie, you will be among the millions around the world eating more mangos. Frozen bananas give the smoothie a frosty texture that’s oh-so-very delicious. While I used fresh fruit for this recipe, you could substitute with frozen fruit also. Just remove the fruit from the freezer about 10 minutes before blending. The yogurt is optional, but I almost always add it to smoothies for my kids. It adds a nice creaminess to the smoothie, plus all the goodness of probiotics and calcium. My Orange Smoothie is a refreshing way to start your day. Plus, with all it’s immune boosting benefits, you will want to drink it a ton during cold and flu season! I can’t wait to hear what you think of this super simple orange smoothie recipe. My kids love it, I bet yours will too! Add all of the ingredients to a blender and process until smooth. Serve immediately. Smoothies are such a great way to get lots of nutrients and vitamins in just one glass – especially for those on-the-go mornings! Want more Fresh Smoothie Recipes? Here are a few from my favorite blogs! 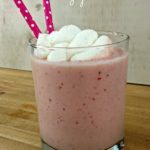 Single Serve Fruit Smoothie with Hidden Veggies – Venture1105 – Your kids won’t know they are eating their veggies when you hide them in this delicious smoothie! Vanilla Beet Smoothie – Bites of Wellness – This bright red smoothie is incredibly sweet without any added sugar! Green Dinosaur Smoothie – Build A Menu – The peaches and bananas add so much sweetness that you don’t even know you are eating spinach! Oh and the name is pretty cute too. Not a big fan of orange flavors, but my hubby and kids would love this! This smoothie looks so amazing!